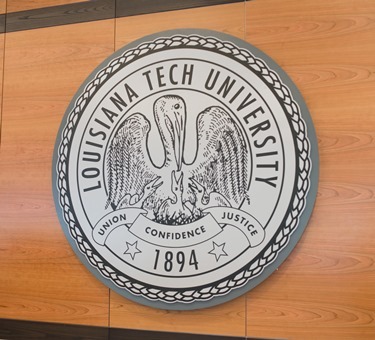 Entrepreneurs striving to develop and grow innovative business enterprises in the coming year have an opportunity to benefit from Louisiana Tech University’s I-20 Corridor Regional Accelerator initiative. The Accelerator helps entrepreneurs preparing to launch a new enterprise, individuals exploring business opportunities and existing ventures planning to introduce new products to add locations or increase market size. The program provides training, coaching and networking opportunities that facilitate strong and steady progress for new or growing ventures. Accelerator participants are able connect with experienced executives, business professionals, coaches, peers and potential customers to create a viable business model. Each enterprise participating in the I-20 Corridor Regional Accelerator initiative is assisted with establishing and implementing the strategic actions needed to keep the venture advancing toward startup and success. Help with determining the funds required, identifying sources of funds and preparing an investor proposal is also included. Entrepreneurs who have graduated from previous Accelerator programs have received more than $3 million in funding. Various funding sources have provided seed or pre-seed grants, competition awards, loans, lines of credit and angel investment. Past participants are achieving success and continuing to grow. The I-20 Corridor Regional Accelerator program is free, but space is limited. Candidates must complete and submit an application summarizing their proposed venture by December 18, to be considered for Accelerator enrollment. Meetings will be held in Ruston on every Tuesday at 5:30 p.m. from Jan. 5, 2016 through April 26, 2016. To apply for the Accelerator or obtain more information, email tbdc@latech.edu or call (318) 257-3537.